It is suitable for people at any stage of a writing project and includes plenty of practise opportunities, as well as a framework which will empower participants to continue to build their expertise and confidence with plotting after the workshop. the three sides of the plot ‘triangle’: who? what? and why? how to create a one-sentence summary ideal for ‘pitching’ to agents and publishers. 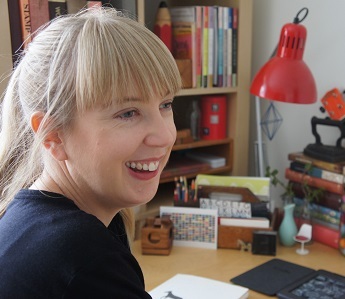 Annabel Smith is the author of digital interactive novel/app ‘The Ark’, US bestseller ‘Whisky Charlie Foxtrot’, and ‘A New Map of the Universe’, which was shortlisted for the WA Premier’s Book Awards. Her short fiction and essays have been published in Southerly, Westerly, Kill Your Darlings and the Review of Australian Fiction. She has a PhD in Creative Writing and teaches Creative Writing at the Australian Writers Centre.